Dish Network Corp’s (DISH) stock gained 0.30% in pre-market trade on Wednesday as the US satellite TV service provider posted better-than-expected revenue in the fourth quarter. Revenue for the quarter stood at $3.31 billion, higher than the street projection of $3.28 billion. The top line was helped by its online streaming arm Sling TV, which added about 26,000 subscribers year-over-year. However, total revenue slid 4.8% after shedding at least 341,000 Net Pay-TV subscribers. Cheaper services such as Netflix (NFLX) and Hulu have taken over traditional satellite TV, and more people adopted cord-cutting in the fourth quarter, posing a greater threat to Dish Network. 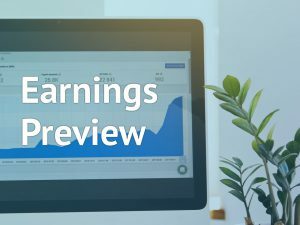 The company earned 64 cents a share during the quarter, missing analysts projection of 67 cents per share. 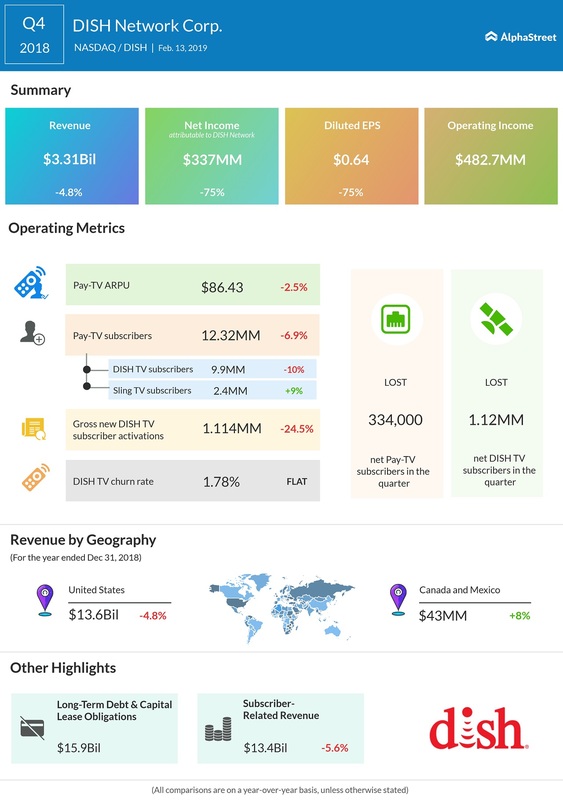 The Englewood, Colorado-based television network provider closed the fourth quarter with 12.32 million Pay-TV subscribers, including 9.90 million DISH TV subscribers and 2.42 million Sling TV subscribers. DISH stock has declined 29% in the trailing 52 weeks period.